Pat and Chris Browne co-founded PEBCO in 1980, and we have in the last 30+ years, established ourselves as a company with a high level of technical expertise who supply a high quality ‘bumper to bumper service’ for your vehicle. We service all vehicles, from 4WD’s to light commercials and we offer a complete range of services no matter what size the job is. 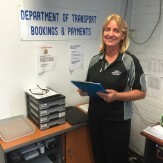 As WA locals, we know our region and people well, and our customers have come to rely on us for friendly and efficient service. Even if there’s something we can’t do, like panel repairs and paint jobs, we will sort this out for you with reputable service providers. This means all your car repairs can be completed with one drop-off and pick-up. Convenience and efficiency, all under one roof. Pat accumulated extensive experience, both locally and overseas, before starting Pebco in his back yard to a factory unit in Myaree in 1981. 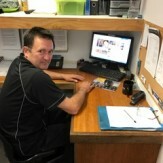 He bought a property in Hamilton Hill in 1990, and we still run and operate the business from there today, covering all aspects of automotive, mechanical and electrical repairs. 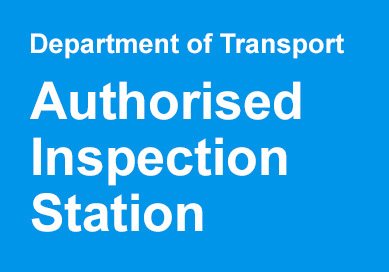 We also have a Department of Transport authorised inspection station. 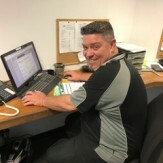 Pat has held various positions on the Motor Trade Association on the Automotive Repairers Division and then was selected on the Board of Directors where he has been the President for the last for six years and in 2014 was awarded life membership for the contribution to the Automotive Industry..
Our company’s success is based on our technical expertise, many years of experience and by supplying outstanding service at all times. Contact us for complete vehicle repairs. Qualified Mechanic after doing his Apprenticeship here at Pebco. 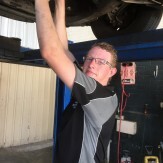 Jesse also has taken on the role of Service Advisor training up to help Gavin in sharing the role as Service Manager. Receptionist, DoT administration, Customer Service. Senior Technician, licensed repairer number MR8711 and Department of Transport Vehicle Examiner # 3443, including open class Motor Bikes. LPG repairer and installation lic GF7188. Daniel has spent a lot of time working in and around the car suspension area. Senior Technician MR3837. LPG lic GF012475. Air Con Lic L038107 Department of Transport inspector 3498 As per above Paul holds a Motor Repairers License, is a Ford Master Technician, he also holds an LPG Repairs ticket and a full Air con service and repair card.